Bands that have only been together for a year may have a hard time being taken seriously, especially when they’re a rock band. 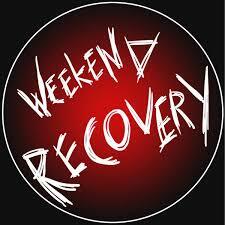 It is a well known fact that breaking into this industry is hard work and only the most talented of artists make it. This female fronted four piece from Kent certainly demonstrate the talent required to hit it big. Forming in early 2016 the group have made a very big splash. In their latest EP, Rumours, they show a talent that is reminiscent of Paramore’s early days- and look at how popular they were. Lead vocalist Lorin uses her strong vocals to draw in the audience in a way that is similar to many other grungy/rock gangs, but in a distinctly different feeling of subtle aggravation (in the best sense of the word). The peak track of the album, New Tattoo, is an angry but great dance track and the whole EP follows a similar trend with greatly executed guitar riffs and brilliantly advanced lyrics. 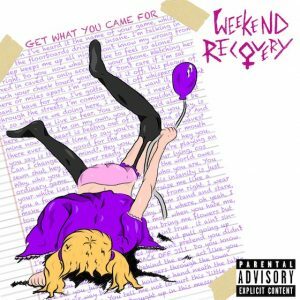 Just four months after the release of the EP, Weekend Recovery released a new track called Don’t Try And Stop Me and the track exhibited a great development on vocals and musical ability for such a short time between releases. 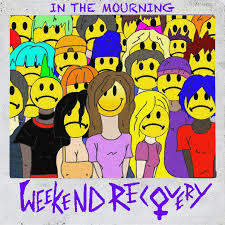 Weekend Recovery show a lot of promise for the future, and they’re adamant that nothing is going to stop them. 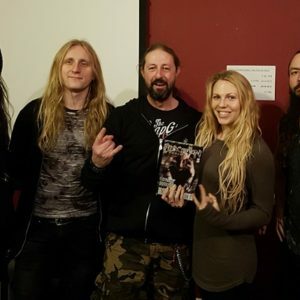 Interview: Kobra Paige "No one should ever not do what they are passionate about"
Interview: Felix Lawrie (Brutai) "Mike Patton is the answer"